Congratulations to our July Athlete of the Month, Michael Murray! It is our pleasure to announce that Michael Murray has been named Athlete of the Month for April 2018! Michael has been a part of the Hierarchy Ivy City community since January of this year. During his short time with us hes improved tremendously in many disiplines, especially strength, and we don't see him slowing down any time soon. Michael always brings a great attitude with him every class and is always looking to improve that 1% more. He is also expecting his first child this fall and has used that as the best kind of motivation. We are very excited to celebrate with Michael on being the July Athlete of the Month! Read on below for our interview with Michael to hear more about his story. Congrats Michael! I am the Director of the Employer Policy Team at the Department of Labor’s Office of Disability Employment Policy. I work to with employers to make sure ODEP's policies address their needs and promote disabiltiy employment. My beautiful and amazing wife! I love being health for her. We have a son on the way! I want to be healthy so I can chase after my son. I want to show him a positive role model of living a healthy life. Lastly, I want to live a long life so I can see his grandkids. I have not been very active since high school. Durham High School I was on the track team. Since that time, my primary exercise has been walking to and from meetings at work. I have bought a number of gym memberships over the year. I always meant to go but the typical gym experience is fairly isolating. I enjoyed yoga for a while but after a while I felt that I had plateaued and really wanted something they could push me to the next level. Driving home, sitting in my truck, stuck in traffic, I would see a sign for CrossFit hierarchy. CrossFit hierarchy seem to meet a lot of my practical needs. A place that would physically make me stronger, excellent pricing, free parking and it broke up my commute home from work. 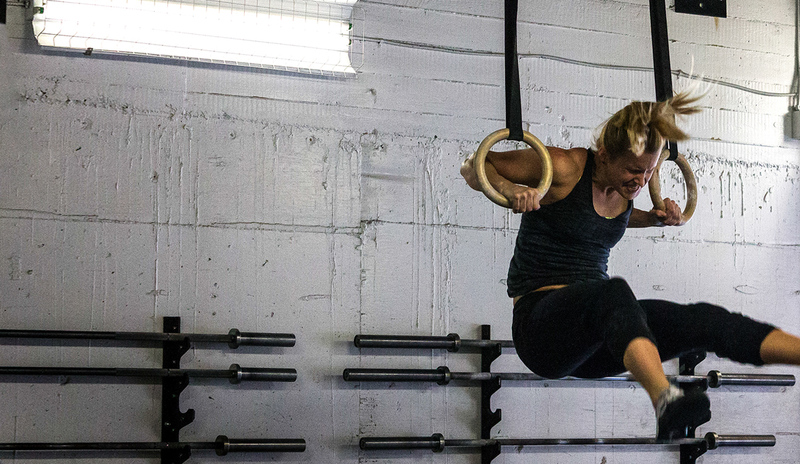 CrossFit is "cliquey" - False, CrossFit is definitely a community. Folks value each other and spend time together doing something they enjoy. CrossFit Hierarchy has an incredible diversity of people and everyone is included. You need a six pack to participate - False again! I'm always impressed with the diversity of body types that show up and show off at CrossFit. Don’t get me wrong, there are athletes at Hierarchy that I think could do anything. There are also some folks can't do a pull-up but they have other strengths and CrossFit gives them the opportunity to shine. Its all about the numbers - False. Having the times and goals really helps you push to reach your personal best. That being said, the coaches at Hierarchy really care about form with the various movements. The class sizes are small enough for them to give each person personalized instruction and support.